> e-coli: bits of life; life in bits? Bioengineers used their computer model of E-coli (patent pending) to accurately predict how the bacteria would evolve under specific conditions. The results may have applications for designing tailor-made biological materials for commercial uses or for predicting the evolution of drug- resistant bacteria. “This is totally revolutionary —that you can actually predict the outcome of such a complicated and intricate process as adaptive evolution,” says Bernhard Palsson, UCSD Bioengineering Professor and study co-author with by UCSD Bioengineering Professor Jeff Hasty. The study also serves as an example of the power of systems biology, a hot emerging field dedicated to employing mathematics and computer simulation to understand how genes and proteins work together to control the function of cells. Palsson first created a computer model of E-coli in 2000, and since then has shown that the model accurately mimics the behavior of the bacteria 80% of the time. Over the past two decades, Palsson has been working at the enormous challenge of creating computer models of these biological functions. He employs a technique he calls constraints-based modeling — basically describing what a cell does not do in order to define what it can do through a process of elimination. To date, Palsson has created in silico models of metabolism for E-coli, the red blood cell, H. influenzae, H. pylori and yeast. Researchers are beginning to build and test synthetic versions of control modules within the circuitry of cells. For example, Hasty has developed a model of a positive feedback loop, in which a gene produces a protein which in turn causes that gene to become more active. He says as scientists begin to synthesize these simple network modules in the context of mathematical models, it will set the stage for the controlling cellular function, which could have important applications in nanotechnology and gene and cell therapy. Hasty's long-term goal is to build synthetic genetic networks which could be inserted into a patient's cells to tightly regulate the expression of a desired protein, or even to cause an undesirable cell to self-destruct. 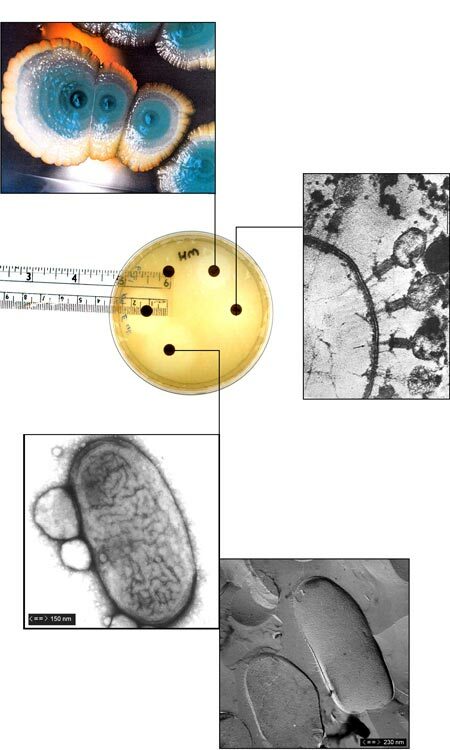 >from *UCSD Bioengineers Use Computer Model to Predict Evolution of Bacteria*, november 20, 2002.